Turkey shot down a Syrian military jet it says violated its airspace, but Damascus calls this “blatant aggression” and says the jet was over Syrian territory. PM Recep Tayyip Erdogan says its armed forces have shot down a Syrian military jet which had violated its airspace. He warned such action by Syria merited a “heavy response”. But Syria accused Turkey of “blatant aggression”, saying the plane had been over Syrian territory at the time. The incident reportedly occurred in an area where Syrian rebels and government forces have been fighting for control of a border crossing. Turkey and Syria – once allies – have more than 500 miles of common border. However neither side is interested in a direct, sustained, open war or conflict between the two countries. Speaking at a rally of supporters, Recep Tayyip Erdogan congratulated his air force on its actions on Sunday. “A Syrian plane violated our airspace. Our F-16s took off and hit this plane. Why? because if you violate my airspace, our slap after this will be hard,” he said. A Syrian military source, quoted by state television, said Turkish air defenses had shot down a Syrian jet as it attacked rebels on Syrian territory – an act of “blatant aggression”. 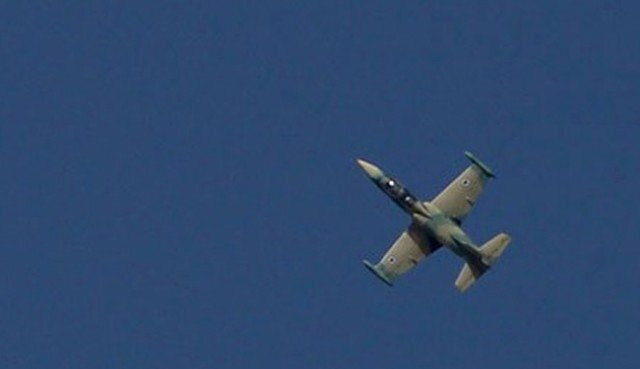 The Syrian Observatory for Human Rights said initial reports from the area suggested the plane came down on the Syrian side of the border. “Turkish air defenses targeted a Syrian fighter bomber as it struck areas of the northern province of Latakia. The plane caught fire and crashed in Syrian territory,” the Observatory said. According to one report, the plane’s pilot was able to eject.